We all need special support when dealing with a life-threatening illness. The emotional, relational and sexual aspects of coping with prostate cancer are complex. Typically, physicians focus on dealing with eliminating the cancer. For most of us, we need additional kinds of support and healing after the cancer is gone. For many, that means looking for a counselor to help us deal emotionally with the disease, both individually and as a couple. This article is written as a marriage counselor and the wife of a prostate cancer survivor who is also marriage counselor. I have some specific suggestions as to what to look for in a marriage counselor. Call the teaching hospitals and cancer centers in your area and inquire if they have a sexual medicine or sexual health department. If there is a cancer center in your area, ask if they have counseling specifically dealing with the emotional and sexual aspects of Prostate Cancer. Ask to speak to the counselor directly — not the receptionist. Do not make an appointment with anyone who won’t give you five minutes on the phone. Expect a brief conversation. Do not expect to tell your full story. It is ok to ask about the counselor’s SPECIFIC training and experience as a marriage counselor. Make sure that couples counseling is a particular focus of their practice. Do not go to a generalist who does some marriage counseling. It is also ok to ask what specific experience they have in working with prostate cancer survivor couples and with erectile dysfunction. 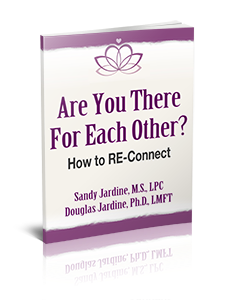 I highly recommend the work of Dr. Sue Johnson who is the developer of Emotionally Focused Couple Therapy. This form of therapy has been empirically validated by many years of experience and research. Emotionally Focused Couple Therapy is designed to get to the heart of the emotions and restructure the interactions of the couple which will result in a more loving, intimate, safe connection. If you are interested in learning more about this form of counseling, go to www.iceeft.com and click “Find–a-Therapist”. I am trained in this form of therapy and have found it very helpful personally and professionally. Do not limit yourself to what your insurance will cover. Your relationship requires EXPERT care. Although counseling is expensive, it is MUCH less expensive than divorce or the deterioration of your relationship. Your relationship is precious. Nothing is more important than the health of your relationship. Make sure you are trusting it to the right person with the right skills. If you do not feel like there is a good fit between you and the therapist after 3-5 sessions, discuss this and ask for referrals. The therapist will understand and will help you find someone who might be a better fit.Use the resources in your local area and online. One particularly helpful resource is the Prostate Cancer and Intimacy (PCAI) listserve. For more information go to www.prostatepointers.org. Most of all, get help early and stick with it. Your love and connection deserve it.